Mohammed Amir is one of the cricketing world’s favourite sons - despite a rocky past he’s been on top form since his return to the game last year. Born in a remote village in Pakistan, the left-arm fast-bowler is a symbol of the meritocratic nature of the sporting world - despite humble beginnings, he was able to rise to become one of Pakistan’s biggest cricketing stars. 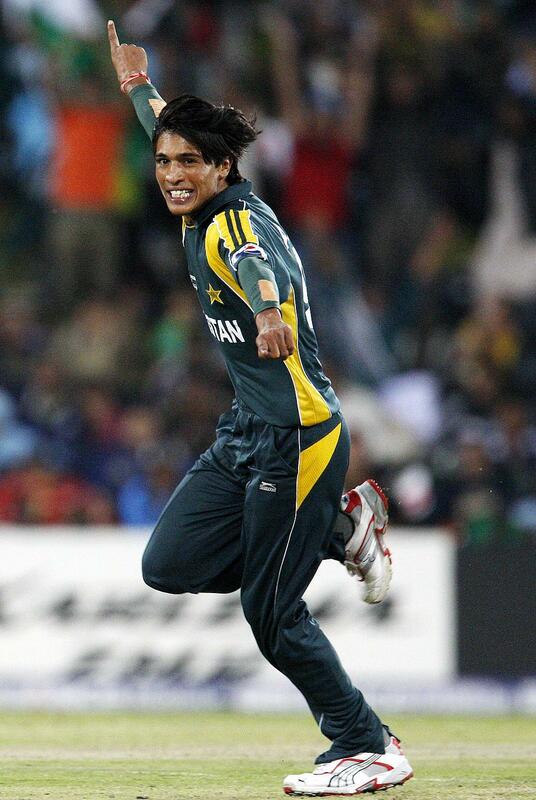 Amir’s first international match was played against England during the 2009 ICC World Twenty20 tournament, conceding only one run in his debut international over. The youngster must have impressed the powers that be because after a stellar first performance, he went on to play in every game. In no small part thanks to his contributions, Pakistan went on to win the tournament and Mohammed Amir was praised from all sides, including by his hero Wasim Akram, another Pakistani left-arm fast-bowler. In the same year that Amir made his Twenty20 international debut, he also played in his first one day international match, and in one of the first matches that he played - against New Zealand - he accomplished a truly impressive feat. The then-seventeen year old scored 73 runs against New Zealand - a record for a number 10 batsman. In total, with batting partner Saeed Ajmal, he added 103 runs to Pakistan’s chase, though they did not eventually win the match. After successful performances in both Twenty20 and one day international cricket, it came as no surprise when Amir was selected to play as part of Pakistan’s test squad too. In this memorable match against England, played away, Amir was awarded the Man of the Match award for becoming both the youngest player in history to take a five-wicket haul in England, when the opposition was on home soil, and the youngest player ever to take fifty test wickets. It was an eventful test series which eventually saw him take a total of nineteen wickets, more than any other member of the Pakistan team, as well as an impressive double whammy of five-wicket hauls. Though Mohammed Amir’s recent past is somewhat chequered, he remains one of the brightest young talents in cricket today, and his stratospheric rise to occupy the position he does today from such humble beginnings makes him a fascinating public speaker who will appeal to a wide range of audiences, whether dyed in the wool cricket aficionados or otherwise. If you’d like to book him to speak at an event you’re planning, get in touch with MN2S celebrity agents, who can help you ensure it goes off with a bang. If it’s a cricketer you’re after as a celebrity speaker but Amir doesn’t quite fit the bill then never fear - they have plenty of other cricket legends on the talent roster.